The Super Bowl is the Academy Awards of advertising, a night where advertising’s finest work wins by playing to an audience of millions. Over 100 million, actually. So when our agency clients asked us to work on their coveted Super Bowl spots and integrated campaigns, we gave them our best game. Our New York, Los Angeles and London offices worked on some of the Super Bowl’s most popular commercials, evoking cinema’s favorite genres. 'Cram it in the boot!' This Bryan Buckley-directed Mini spot with a touch of innuendo got lots of laughs from the Super Bowl crowd. 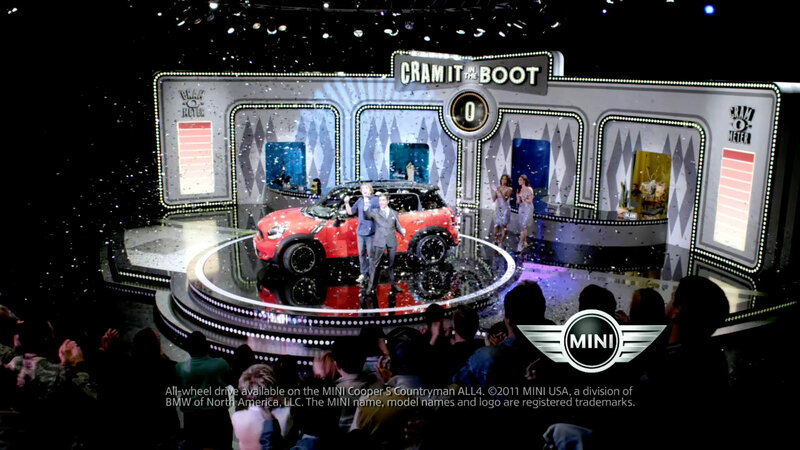 The Mill Flame team led by Tara Demarco was tasked with cleaning up the game show set, specifically the reflection of the clock timer, which was visible in almost every shot. Mill CG Artist Yorie Kumalasari animated both bees surrounding a hive and the Cram-o-Meter, an oversized timer counting down the tongue-in-cheek shoving of suggestive items into the Mini trunk.